It’s a conundrum that has plagued PR professionals for decades now. Why does the industry suffer from relatively low reputation levels? It’s an irony not lost on the more seasoned reputation managers and strategic communicators. Much of it is down to poor practitioners conducting tactical activity on the hoof with little regard for the bigger picture. Strategic communications lies at the heart of what we do. PR and media relations, social media management, organisational development, employee engagement and all the other services we provide are part of the overall process – important elements in a cohesive and complementary round. Strategic communications starts by defining the issues, exploring and challenging your business goals, identifying the talent, tools and technologies that will get you to where you want to be. We scrutinise your operational environment, market opportunities and external threats, before crafting key messages and examining them for clarity and purpose. We then work with you to ensure they are carried by the right people across the right channels at the right time and to the right audience. And so very much more. Strategic communications is a long game. To use a cricketing analogy, it’s the equivalent of a five day test match, with all its finesse and nuance, compared to the Twenty/20 biff, bash, bosh of here today, gone tomorrow publicity. Call Jools today to talk through how a strategic communications campaign can be the difference between winning and losing in your arena. You’ll get a FREE hour…howzat?! 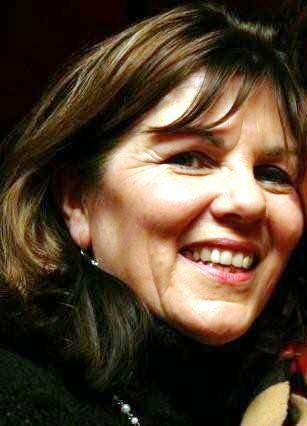 Fay Easton is also the founder of Start Up Shropshire. Jools is one expert PR lady. A very special professional who has sublime communication skills and the most expert command of the English language of any ‘professional writer’ I have ever had the pleasure to work with. The acute business savvy embedded within her organisation ensures that the ‘Comms Strategy’ is directly related to creating more business and more profit. 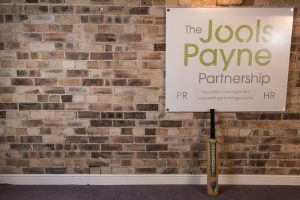 The Jools Payne Partnership provides that vital element to transform ambition and great products to excellent business.